Left at home and with only sporadic news from Peter, Rhoda has spent years apart from her fiancé, with no guarantees that he will return home. Ten years later, Rhoda and Peter are married, but their relationship is hanging by a thread. What secrets have they hidden from each other over the years? How did Peter manage to survive the brutal war years? And did Rhoda ever get over the man who captured her heart…? 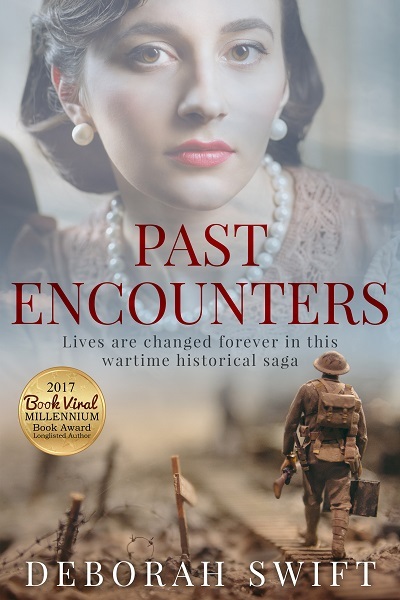 Past Encounters by Deborah Swift is a thrilling war & military saga encompassing the atmospheric filming of Brief Encounter and the extraordinary Great March of prisoners of war through snow-bound Germany.